2019 Football Interest List - complete this form if you are interested in SC Wildcats Football program. 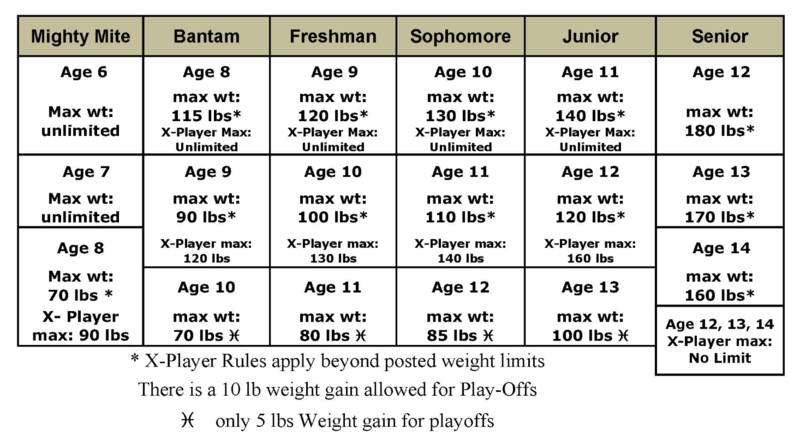 Refer to the GCYFL Weight and Age table below to determine the best division for your child. Age cut-off for the current year season is July 31.